One billion of our neighbors are living in poverty. They struggle on less than a dollar a day—without enough food to eat or clean water to drink. Even in the United States, one in ten households experience hunger or the risk of hunger—skipping meals, or going an entire day without food. Every few seconds...the length of each breath we take...someone in the world dies from poverty-related causes. 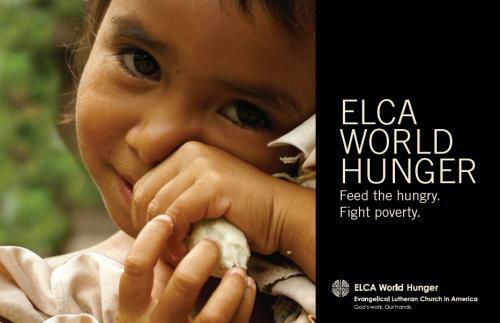 The Evangelical Lutheran Church in America (ELCA) is working to change this. Our New Fruit Fellowship of Grace Chinese Lutheran Church will be getting involved and collecting every Friday during fellowship so bring your cash, checks, and change! Let us together carry out our New Fruit Mission Statement—"Loving Christ & Loving Others."